There's dark magic coming to Hogwarts. Darkness will soon be falling over Hogwarts castle as the Dark Arts comes to the Wizarding World. Coming later this year a new projection show will debut at both Universal Studios Hollywood and Universal Orlando Resort. The Dementors and Death Eaters will cloak the castle with lights and special effects as night falls across Hogsmeade. Villains will be showing up including He Who Shall Not Be Named, Lord Voldemort. It isn't just dark wizards who will be coming out to play, "other unspeakable creatures including Acromantula, Mountain Trolls, and Thestrals" will be a part of the new show. 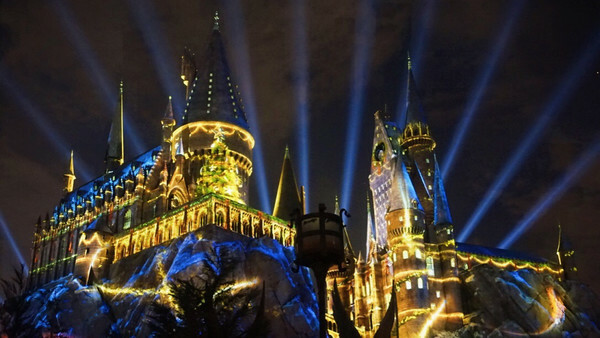 Dark Arts At Hogwarts Castle will be "accompanied by an exclusive musical arrangement" recorded by the London Symphony Orchestra and is based off the movies original scores. Universal Studios Hollywood will be debuting their show nightly from April 13 – 28 and then returning May 25 – 27. 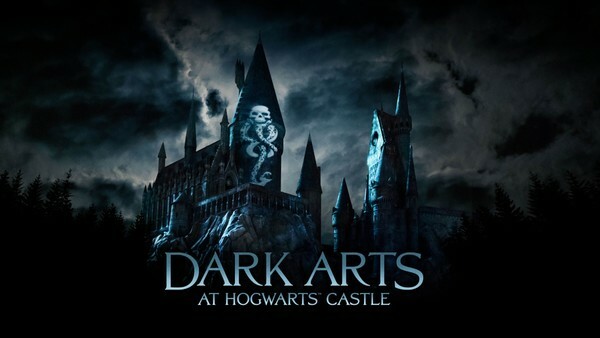 Universal Orlando Resort will be announcing when Dark Arts At Hogwarts Castle will be debuting at their Wizarding World soon. Jen Gallie hasn&apos;t written a bio just yet, but if they had... it would appear here.